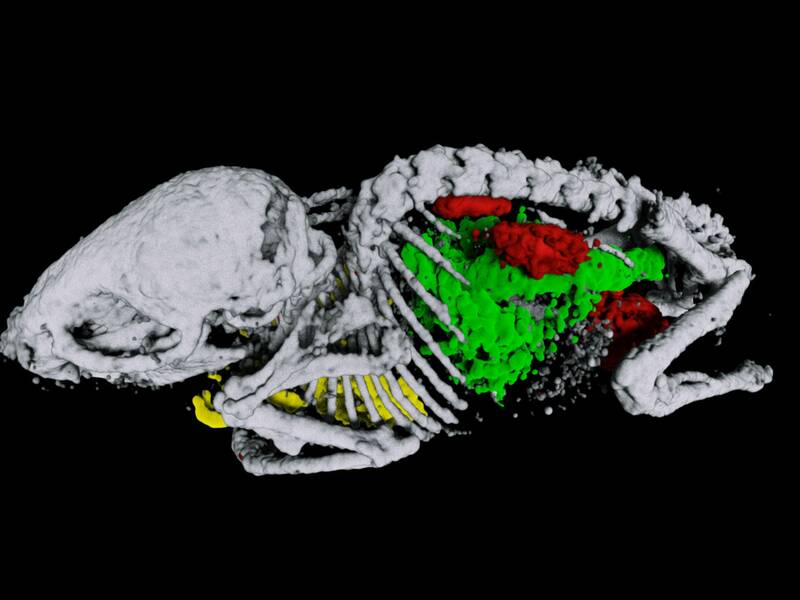 BEHOLD THE RAINBOW innards of a mouse, the first creature to be x-rayed in 3D color. 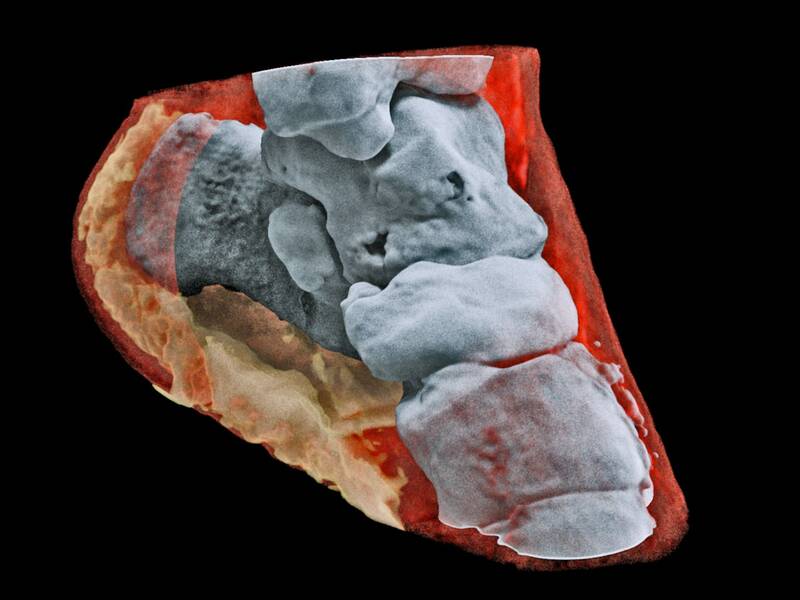 Traditionally, you’d see only bone illumined among the fleshy bits. 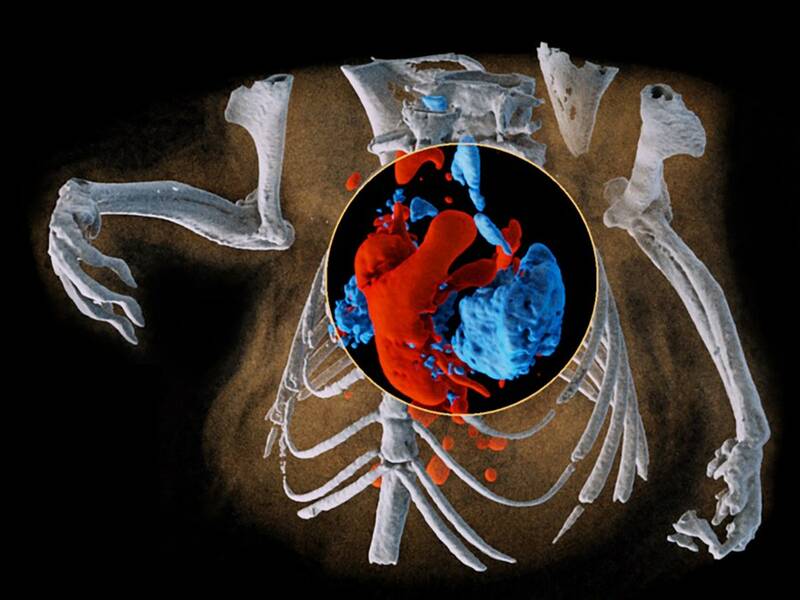 But the MARS scanner, armed with particle-detecting tech used in CERN’s Large Hadron Collider, counts individual photons bouncing through the body, tracking their energy levels to calculate the varying densities of bones and tissues. AI-powered processors then render the various viscera in whatever colors Phil and Anthony Butler prefer. From their base on New Zealand’s South Island, the father-and-son scientists spent years collaborating with CERN on techniques for sharpening medical imaging, and in 2007 they scanned their first subject, an apple from lunch, followed by wisdom teeth, Antarctic clams, mice, and, earlier this year, Phil’s wrists and ankles—MARS’ debut shots of a live human. Was Dad nervous? “The radiation is trivial,” Anthony says. 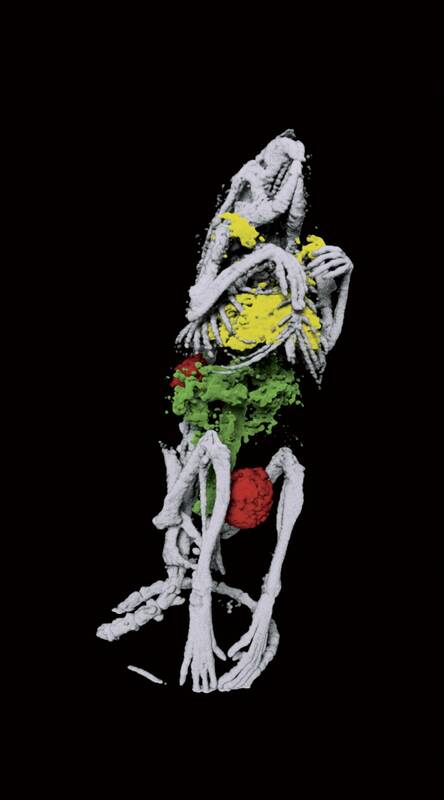 While their brainchild waits for government clearance to shoot volunteers, a local museum’s mummy, on deck for the next scan, is excited to finally get its close-up. 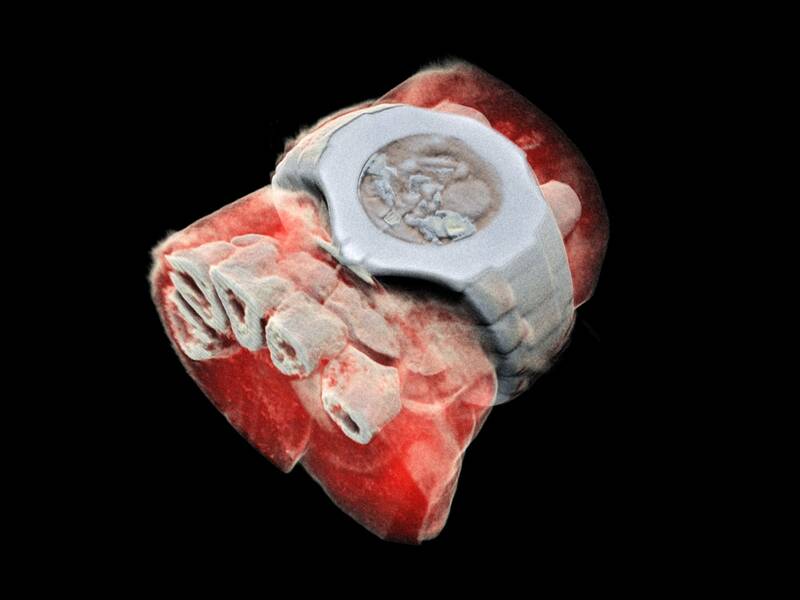 MARS offers better joint images, since it can categorize and color-code inter woven layers of bone, tissue, and surgical screws as quickly (and with as little radiation) as a traditional CT scan. 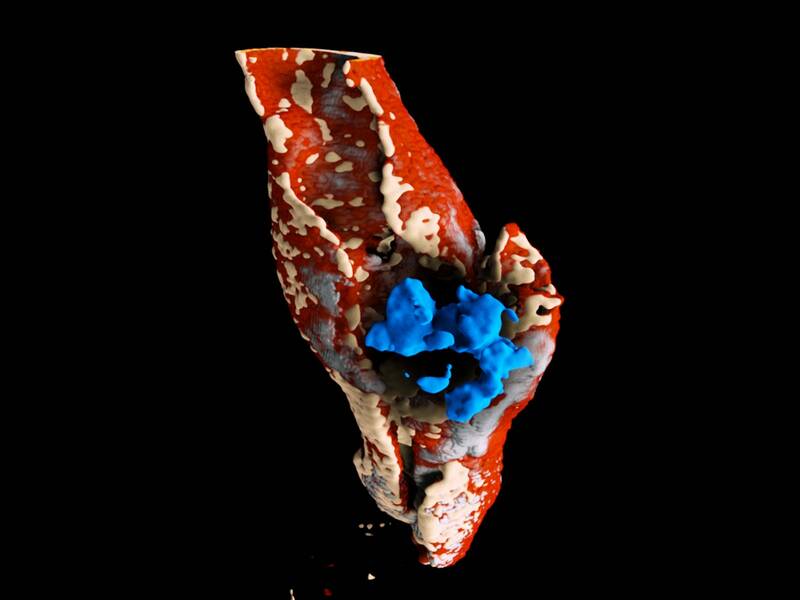 Nanoparticles injected beforehand enhance the 3D render of the mouse’s lungs, digestive tract. kidneys, and bladder. Researchers say this dye-and-scan technique could be used to detect early-stage cancer cells, invisible in a standard x-ray. Because MARS knows how much energy it takes for photons to pass through fat—more than air, less than bone—it can reveal stores of lipids lurking in the body. Here that “channel” has been turned off for a better view of the technicolor entrails. Great dedication brings excellent results! Good show. A tecnologia 3D permite que contemplemos os eixos X,Y e Z de um corpo ou obejto, assim conseguimos distinguir com mais precisão a profundidade de diferentes corpos. Creio que será um grande avanço para a Medicina.